The DCU Brexit Institute has today announced a three-year agreement with AIB, who join Arthur Cox as an official sponsor of the Institute. The first centre of its kind in Europe, the DCU Brexit Institute was launched on June 23rd 2017, a year after the referendum in which the UK voted to leave the EU. 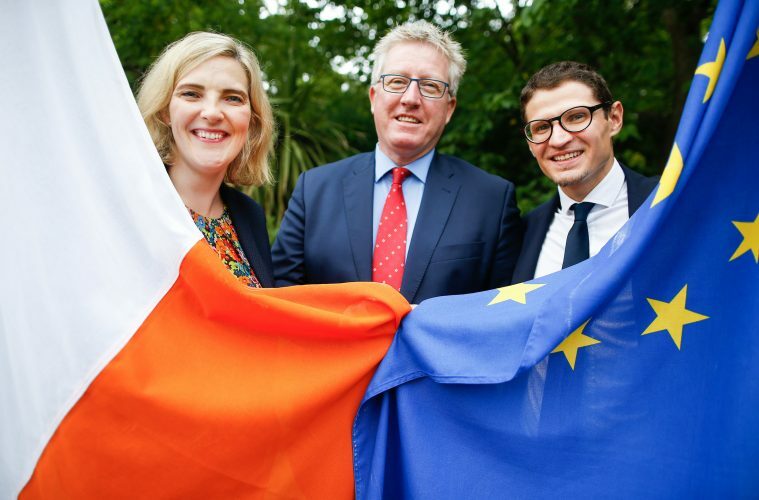 Analysing the major legal, political and economic challenges raised by the withdrawal of the UK from the EU, the Institute comprises experts from a number of DCU’s faculties and schools, connecting them with specialists in Ireland, the EU and beyond. The Institute has firmly established itself as a leading platform for documenting and debating developments in relations between the UK and EU. He added: “In its first 12 months, the DCU Brexit Institute has held over a dozen high-profile events in Dublin and other European capitals, featuring over 30 keynote speakers comprising current and former Prime Ministers, Presidents, EU Commissioners, Ministers of Foreign Affairs, leaders of independent institutions such as the Central Bank and World Trade Organisation, and prominent members of the EU, UK and Irish parliaments. In addition, the Institute’s members have produced a series of books, institutional reports and working papers, together with regular blogs on breaking developments. It is a certainty that the Brexit process is set to continue for many years. With AIB’s support, the DCU Brexit Institute will continue to play a key national and international role in tracking the developments of the withdrawal process, starting with a kick-off conference for the new academic year on ‘Brexit by Design or by Default?’ (Thursday, 6 September, The Helix, DCU). [Link to the event here].